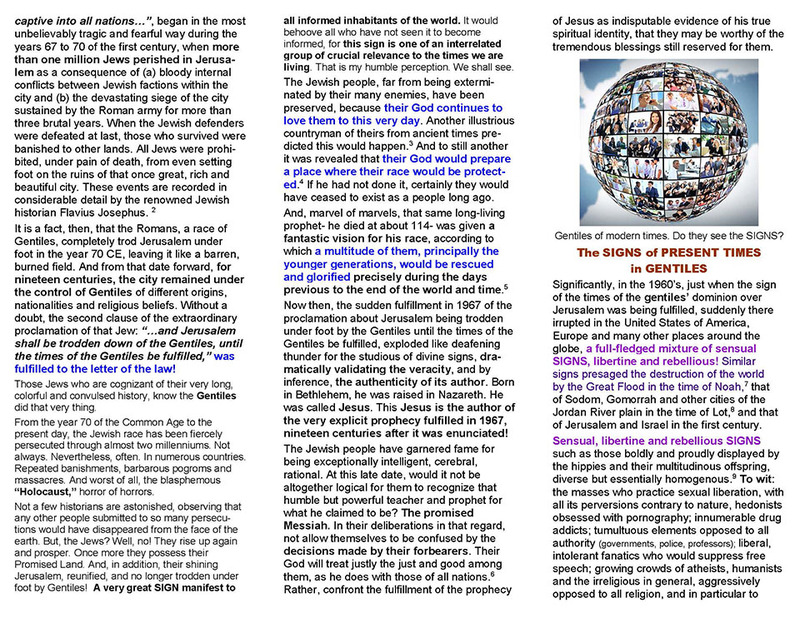 ﻿ SIGNS taking place today in JEWS and GENTILES. Two jpeg images of the content of this study. 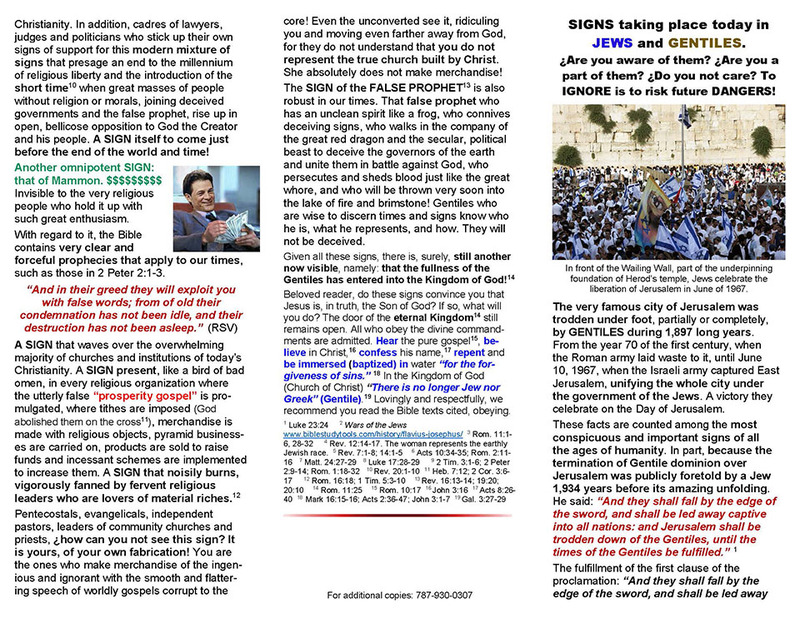 Le puede interesar: SIGNS taking place today in JEWS and GENTILES. Are you aware of them? Are you a part of them? Do you not care? To IGNORE them is to risk future DANGERS! Le puede interesar: Peace Publishers. Index J of moral, spiritual, Bible and religion materials in various formats. The SIGN of the SEVENTH KING-KINGDOM-BEAST. Astonishing SIGN for modern times! Copy to PowerPoint, project directly or use to print. 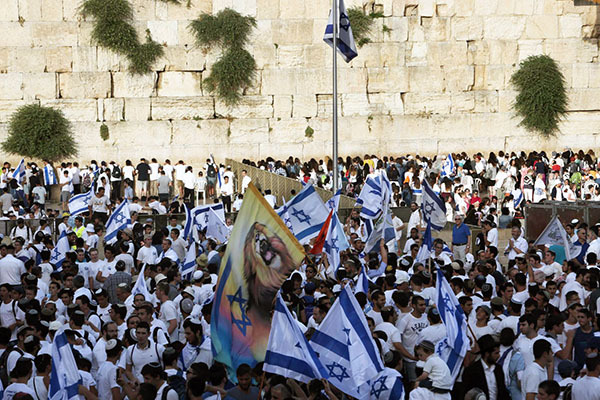 In front of the Wailing Wall, part of the underpinning foundation of Herod’s temple, Jews celebrate the liberation of Jerusalem in June of 1967. Copy the images to PowerPoint, project directly or use to print. Church of Christ. Index J of moral, spiritual, Bible and religious materials in various formats. Peace Publishers online.